ECOT student Celia Aker speaks to the State Board of Education. Ohio’s largest online charter school has promised to continue its legal battle with the state department of education. 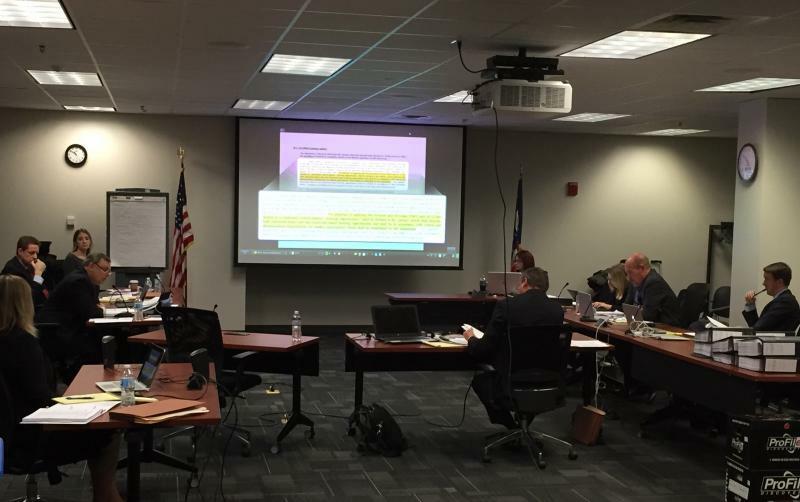 But the state school board still voted today to require the Electronic Classroom of Tomorrow to return $60 million in overpayments for students it couldn’t prove were enrolled full time. Simply put, ECOT is paid by the state for the number of full time students enrolled, as all traditional and charter schools are. 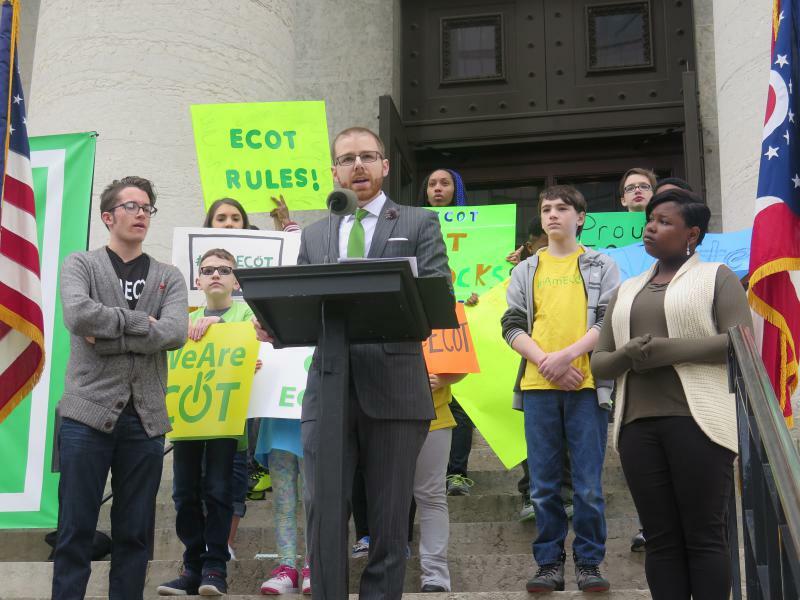 And a 165-page report from an Ohio Department of Education hearing officer determined ECOT counted 9,000 more full time students than it actually had last year, inflating its full time enrollment by 60% to receive $108 million in state funding. 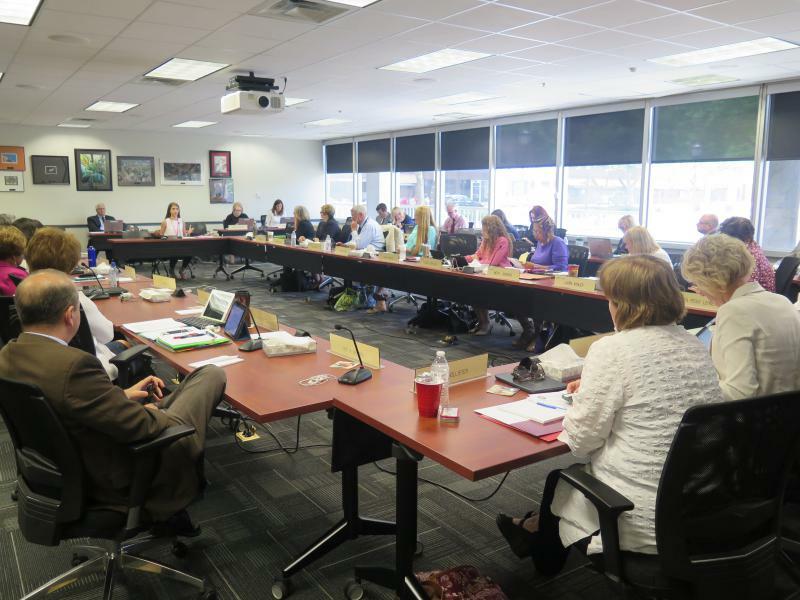 At first the board considered an amendment from member Cathye Flory to demand ECOT pay back $64 million, which was one total noted in the report. “I feel like that’s, they’ve cheated the children and the taxpayers, and I just feel like they should go ahead and pay all that back,” Flory said. All but two members voted to demand $60 million instead. One board member abstained, and the one who voted no later attempted to change her vote, saying she was against reducing the repayment amount and that she had wanted to demand $64 million. Board member Stephanie Dodd was a yes, and said the money needs to be returned. “It’s an overpayment, and I think it’s an unfortunate misuse of dollars and I think it’s best for it to be returned and for us to decide what to do with those dollars in the future,” Dodd said. Several ECOT students, parents, staff and other supporters wanted to address the board. But they were held till after the vote, with the Department of Education saying they’d had time to make their case to the hearing officer when he was compiling his report. The Department of Education’s report card on ECOT shows its graduation rate is just over 39%, while the public school graduation rate average for the state is just over 80%. 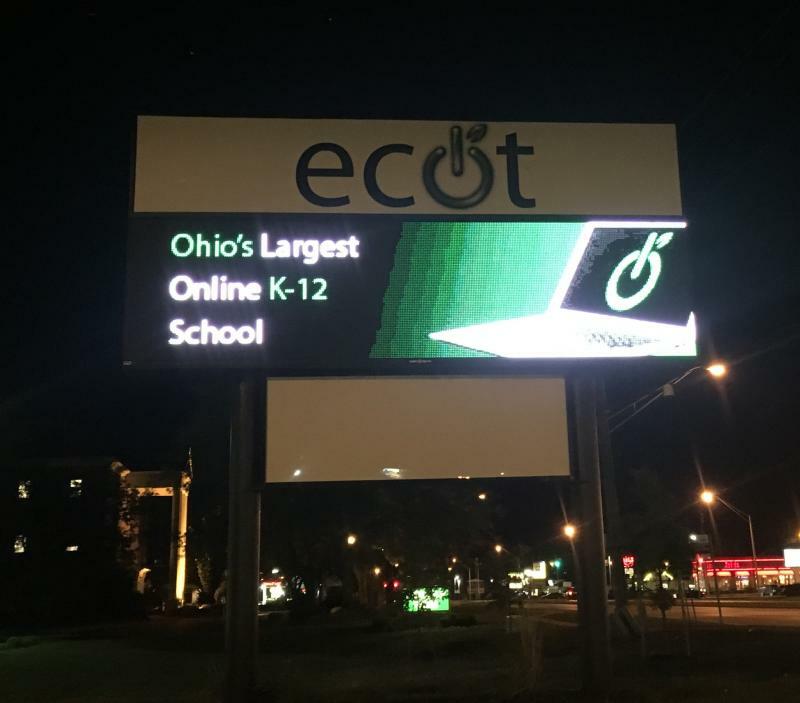 The department’s legal counsel noted that ECOT had filed 11 objections to the hearing officer’s report, and that the case is still being heard in the court system. 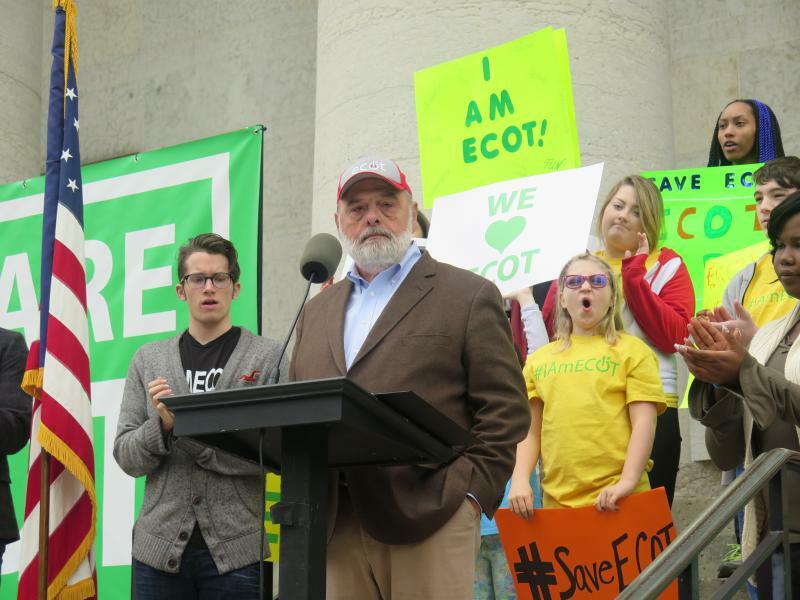 Clark says there will be more legal action to come, and he’s said ECOT won’t pay anything until the case is fully litigated all the way to the Ohio Supreme Court.